Blockbuster is all about removing excess copies of films as soon as their hype has vanished. My Blockbuster had a copy of Ringo Lam’s Full Contact which someone beat me to it seems. The going out of business sale was not exactly super-deals either as they were only 30% off on everything in the store. It’s quite bizarre to see racks bare but even more depressing was this is the most packed I’ve seen a video store since the 1990s. Enough nostalgia though, on to the purchases! None of these blus were rentals. First was Scott Pilgrim vs. the World to keep my Edgar Wright collection up to date. Wright posted on his blog that there will not be any further editions of the film as it didn’t do that well in the box office so no worries on double dipping in the near future. Psycho needs no introduction. The transfers solid but the blu-ray menu has these horrid sound effects. You’d think they’d at least use the film score in the menu selection too. Animal Kingdom was on sale already for $10 which is decent considering the 30% off deal already. It’s an Australian crime film that’s slow and arty but still quite satisfying. I have not examined any of the bonus features on that disc but it’s pretty slim. Total Recall is an obvious purchase as the cinema of Paul Verhoeven is very underrated. I’d even go as far to say that he managed to make the best action films of any non-English speaking director who worked in Hollywood making action films. Sorry Ringo Lam and John Woo! Next I found some pretty amazing deals at Zellers just today. Good thing I didn’t post this blog a few hours earlier. These prices are crazy! It’s a strange world to be buying films that won at the Cannes Film Festival for one dollar. Not to mention Johnnie To’s Election for less than five. All four of these are quality. If you haven’t seen them, why haven’t you? This entry was posted on Tuesday, June 21st, 2011 at 9:54 pm and is filed under arnold schwarzenegger, blu-ray, DVD, johnnie to, ottawa, park chan-wook, paul verhoeven. You can follow any responses to this entry through the RSS 2.0 feed. You can leave a response, or trackback from your own site. Hey now this is getting personal. I wasn’t dragged! I just can’t get into shopping for nightgowns. First of all I want that Election dvd for the cover! Secondly Thirst for a dollar is just crazy pricing, loved that movie. I actually prefer both of the Vengeance movies to Oldboy. Yes, the Election DVD looks pretty clean. The other cover works better from a marketing perspective as you know who’s in the film, right? This one looks a bit more classy at least and is void of the words “ASIA EXTREME” on them. 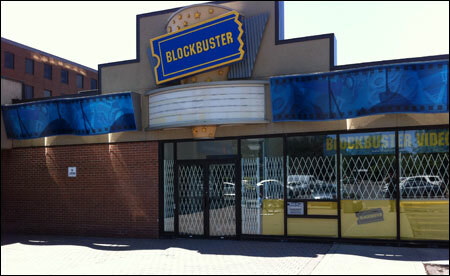 I always get sad when I think that kids these days won’t get a chance to browse for DVDs and VHS like I used to. That was a huge part of my childhood! And the bargain bins! Delightful. Yes! I fear the time when that kind of bargain hunting dies. Maybe I need to take off my nostalgia glasses and grandpa pants, but there’s no way that I’ll find really good deals on e-bay or amazon to be as exciting.